Calgary, AB / March 3, 2015 / Decisive Farming™, provider of a data management platform with integrated services for crop farmers, today announced a new approach to improving the efficiency of fertilizer and seed applications. 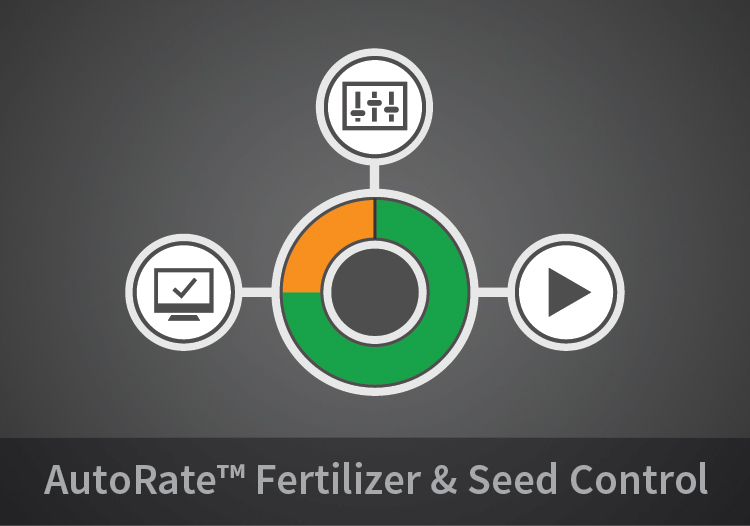 AutoRate™, a new product by Decisive Farming, simplifies the process of adjusting fertilizer and seed rates in lower producing areas of the field, resulting in considerable savings for a minimal annual cost. Over the years, GPS autosteer and automatic spray control have been widely adopted, allowing farmers to guide equipment and product applications more efficiently. But when it comes to fertilizer and seeding, rates are either left constant across the whole field or manually adjusted by the equipment operator. The problem is that the farmer knows they are over-applying inputs in areas of the field that fail to produce, resulting in both environmental and economic inefficiencies. When the rates are manually adjusted, often the equipment operator forgets to reset the rate or simply does not know the areas of the field well enough to accurately make the adjustments. In addition to improving efficiencies in the field, AutoRate™ is also saving time and money in the office. One example is a partnership with Carbon Credit Solutions, where growers can sell their carbon credits as part of the service to reduce the cost of AutoRate even further. Using Decisive Farming’s award-winning My Farm Manager ™ data management platform, carbon credit applications are simplified for both the grower and offsets aggregator. Decisive Farming™ provides highly effective management solutions to crop farmers and agriculture service providers. Our focus is on precision agronomics, crop marketing and information management services that are geared toward farm profitability, sustainability and ease-of-use. Our services are setting the standard in quality and performance; and unlike other providers, our solutions are fully integrated through our web software (My Farm Manager™) and are supported by the very best providers in the industry (www.decisivefarming.com/partners). Contact us for more information about AutoRate or to order for Spring 2015.